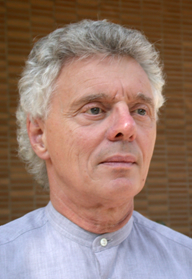 Allen J Scott is distinguished research professor in the Department of Geography and the Department of Policy Studies at the University of California, Los Angeles. He was awarded the Vautrin Lud Prize in 2003 and the Anders Retzius Gold Medal in 2009. He was granted the degree of doctor honoris causa by the Friedrich-Schiller-Universität Jena in 2011. 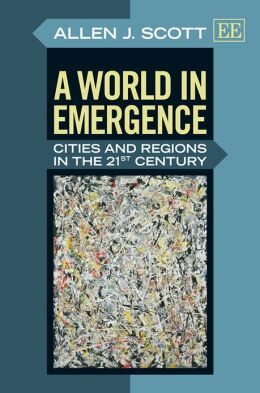 In addition to “A World in Emergence: Cities and Regions in the 21st Century”, his recent books include “Social Geography of the Metropolis” (Oxford, 2008) and “On Hollywood: The Place, the Industry” (Princeton, 2005). My goal in this book is to work out the interrelations between capitalism, urbanization, and globalization. The substantive focus of the book is on the recent resurgence of large cities all over the world, in significant degree as a function of the far-reaching intensification and spread of revivified forms of capitalism. The dominating questions of the book are (a) How are the leading edges of capitalist economic growth constituted in the 21st century? (b) What are the concomitant effects on urban forms and functions, and can we identify a corresponding third wave of urban development? (c) What are the reflexive impacts of contemporary urbanization processes on the social reproduction of global capitalism? I suggest in the book that a new form of capitalism has been coming into existence since the 1980s, above all as a consequence of the digital revolution in conjunction with types of human capital based on the cognitive and cultural assets of the labor force. I refer to this new order of things as “cognitive-cultural capitalism.” I then attempt to trace out the impacts of cognitive-cultural capitalism on urban development, with special reference to North America, Europe, and the Asia-Pacific Region. I further argue that one important expression of globalization processes can be found in an expanding world-wide network of major city-regions. The internal social and physical characteristics of the cities that participate most insistently in this new trend are undergoing dramatic transformation. The long-established economic base of these cities in manufacturing is steadily diminishing, and in many cases has effectively given way to dominating complexes of service, cultural, and technology-intensive producers. This means, too, that the traditional white-collar/blue-collar mode of socio-spatial stratification in these cities is waning and that a new kind of urban social stratification is taking shape. This consists of (a) an upper stratum of highly qualified elite workers, and (b) a lower stratum comprising a new servile class whose labor directly and indirectly underpins the day-to-day functioning of the city. A striking corollary of the rise and geographical concentration of the cognitive-cultural economy is a greatly intensified (though spatially selective) process of gentrification and aestheticization in major world cities. To be sure, not all cities participate equally in the new capitalism, and there are numerous parts of the world where its effects on urban life are absent or negligible. That said, these other cities are also sites through which developmental impulses are strongly channeled, and more and more of them are now acceding to the global mosaic, just as cities like Seoul, Taipei, Bangkok, and Mexico City have done before them. The overall result of these intersecting processes is an emerging cosmopolitan system of gigantic urban centers. What are the policy implications of your analysis? This cosmopolitan system is steadily coming to the fore as one of the more potent and visible elements of the new world order. The city-regions that make up the system represent important economic motors and political actors on the world stage, but each of them is also riven by social conflicts, rooted above all in the deepening inequalities that they harbor. I show that extant political capacities for dealing with the multiple problems generated by this state of affairs remain woefully underdeveloped. Strategic institutional arrangements for more efficient supply of public goods and for building competitive advantage in individual city-regions also largely remain in a primitive stage of development. My prediction is that in the end, global city-regions will be forced, by reason of their mounting internal and external predicaments, to deal in a forthright manner with these issues. This will also greatly boost their role as major centers of economic and political power in the global order of the 21st century. The logic of cognitive-cultural capitalism remains to be much more thoroughly explored, as do the ways in which it influences advanced forms of urban development. In particular, further research needs to be devoted to the deepening polarization of the urban employment system and the concomitant social and spatial reorganization of large cities that has been occurring over the last couple of decades. In my opinion, a clear re-assertion of the overarching significance of capitalism on geographic outcomes can contribute significantly to understanding cosmopolitan urbanism while steering clear of the doubtful claim that we need one kind of theory for the cities of the Global North and another for the cities of the Global South.